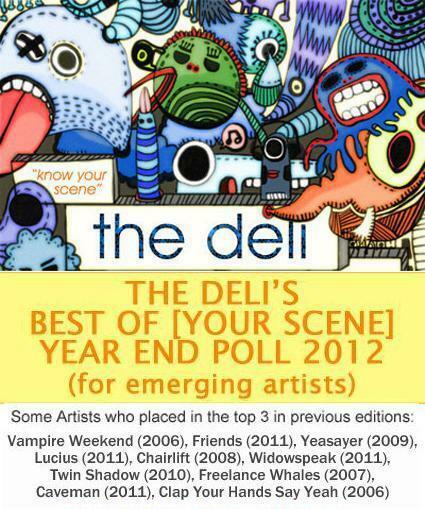 Deli Best of New England 2012 - Submission Results! 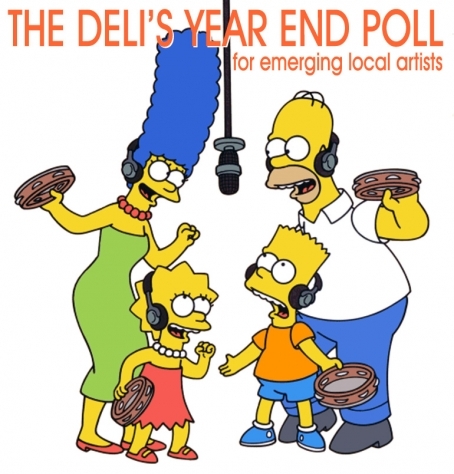 The results are in from the Open Submissions stage for our New England Year End Poll for Emerging Artists. All of the submissions were ranked by Deli Editors from other scenes and the list of acts that have advanced to our Readers’/Fans’ Poll phase are below. We will also be releasing the list of nominees chosen by our local "scene expert" jurors very soon. We would like to thank all of the talented artists who submitted. It was our largest Open Submissions pool yet, and certainly a testament to how many rad acts we have in New England. That Noble Fury (Alt Rock), Darlingside (Indie Pop), Bryan Laurier & The Lost Acres (Alt Country), Fatal Film (Garage Punk), Gang of Thieves (Funk), Hey Ice Machine (Blues Rock), Theodore Treehouse (Indie Rock), Plumerai (Alt Rock), SUNRAM (Psych-Rock), We Are Oceans (Noise Rock), The Doctors Fox (Experimental Pop Rock), Strange Changes (Experimental Jazz Rock), Closer Than We Appear (Indie Rock), High Pop (Lo-fi Garage Pop), I Was Awake (Prog-Rock), Jet Black Sunrise (Pop-Rock), Joe Young (Singer/Songwriter), Lowman (Blues Rock), Mission Zero (Electro-Pop), ONSLO (Prog-Rock), Robert Gillies (Singer/Songwriter), Sarah Blacker (Singer/Songwriter), Something About Horses (Avant-Rock), WAVES CRASHING ON FACE (Indie Rock).